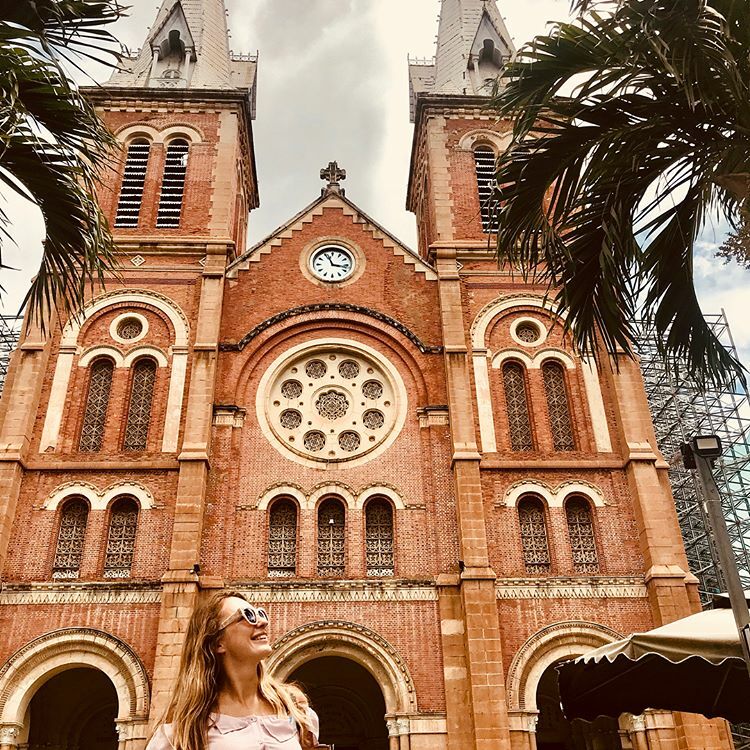 Ho Chi Minh city or Saigon always impresses travelers by its bustling atmosphere, which makes it easy to get lost in the “Pearl of the Orient”, as the French colonialists had said. However, Saigon doesn’t only have modern beauty, it also has historical and natural significant as well. You have to walk like a local, eat like a local… and explore Saigon as a Saigonese to experience all of its traits. 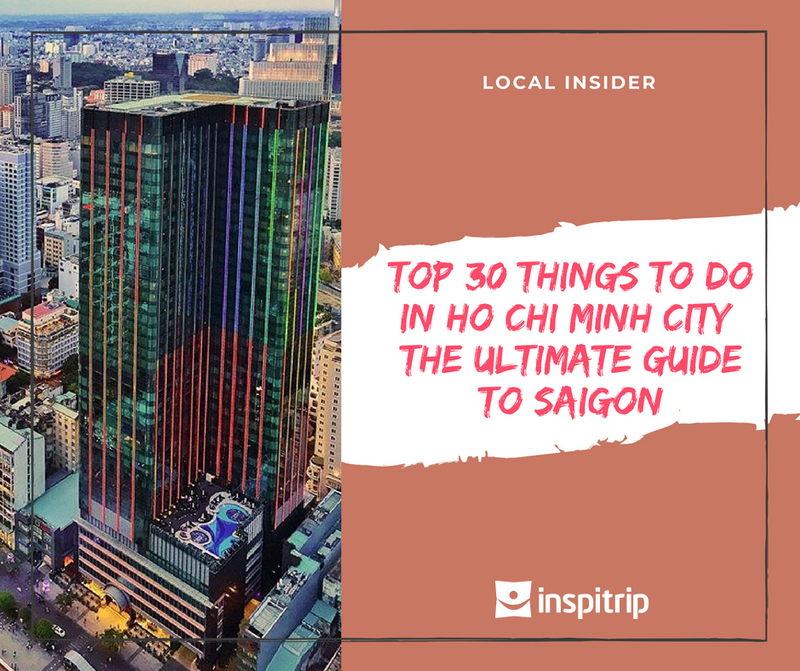 Below are 30 things to do in Ho Chi Minh city for your journey in Vietnam’s southern capital. Nevertheless, traffic congestion in peak hours might raise some difficulties so cars are not a advised. For ride-sharing apps’ users, you should book motorbike to move quicker and easier. It’s also safer than driving yourself, especially since the traffic of the city can be overwhelming. 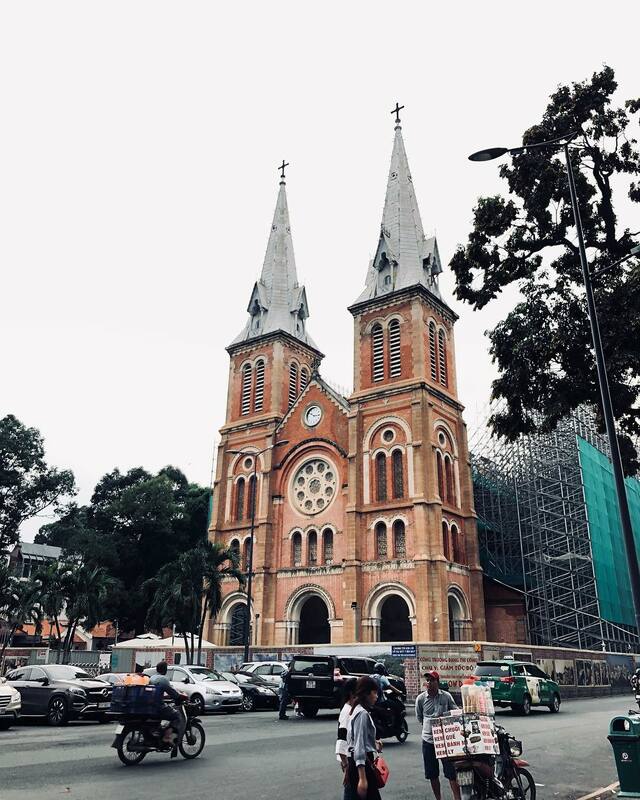 Notre-Dame Cathedral Saigon, also known as Duc Ba Cathedral, is the one of the famous architectural landmarks and features of Vietnam tourism. Its architecture was based on Notre-Dame de Paris. With a height of 57.6 meters, its bell towers is are highest ones in Vietnam. Only on Christmas Eve will all the bells ring together, a sound you can hear from 10km away. 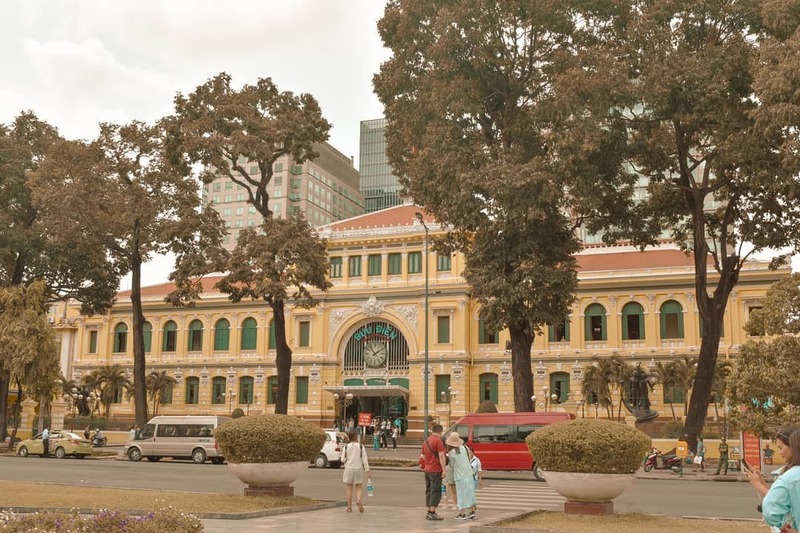 The French built Ho Chi Minh Central Post Office from 1886 to 1891 under the design of the architect Villedieu with an assistant named Foulhoux. They combined European style with Asian decor for the building. In particular, the building has large circular arches at the entrance and along the ceiling. There are some tables depicting French well-known historical figures such as Laplace, Voltaire, Arage, Gay-Lvssac… at the front of the post office. Ho Con Tortoise is a folk name for an artificial fountain located at the intersection of three streets: Vo Van Tan, Pham Ngoc Thach and Tran Cao Van. Its official name is International Square, and it’s become one of the most active eating places from morning to night, with many coffee shops and restaurants around. People often consider Ben Thanh market as the unofficial symbol of Saigon. You can find almost anything here including souvenirs, trinkets, clothes, hats, coffee, coffee filters, tea, shoes, purses, snacks, fresh fruit, art, dodgy electronics, toys, jewelry, nodding cats figures and then some. So if you want to buy something, it’s very important that you know how to haggle. Bui Vien Street usually has a mix of both locals and tourists grabbing a drink on the side. Travelers can take advantage of many services from hotel, from transportation to massage, tattoo, cafe, dining and street food. War Remnants Museum features American atrocities, highlighting the horrors of war. As graphic and confronting as it can be, the museum provides visitors with the truest picture of the pain war victims suffer, even to this day. It is located on an area of 12 hectares in the center of Ho Chi Minh city. 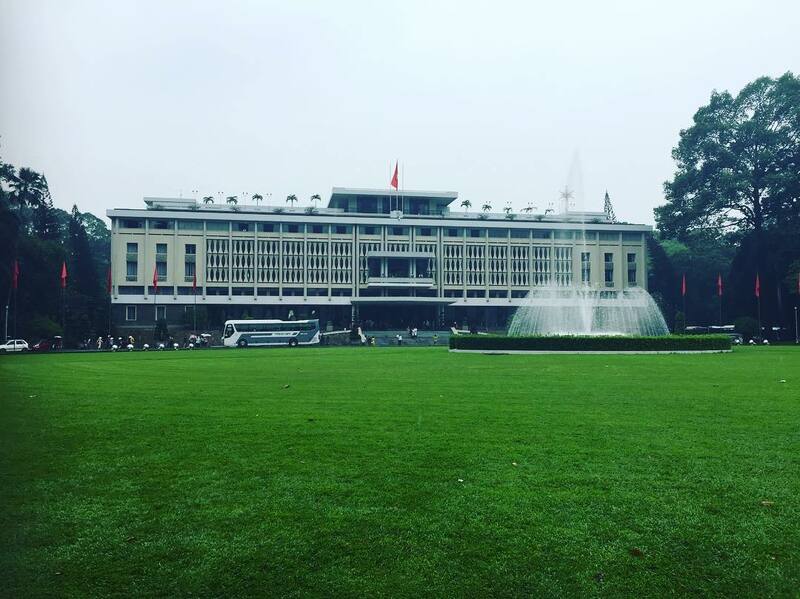 Along with its historical meaning, Independence Place remains the harmonious combination between modern Western and classical Eastern architecture. Focus on things to do in Ho Chi Minh is a must but don’t forget about the suburban districts and the near provinces. 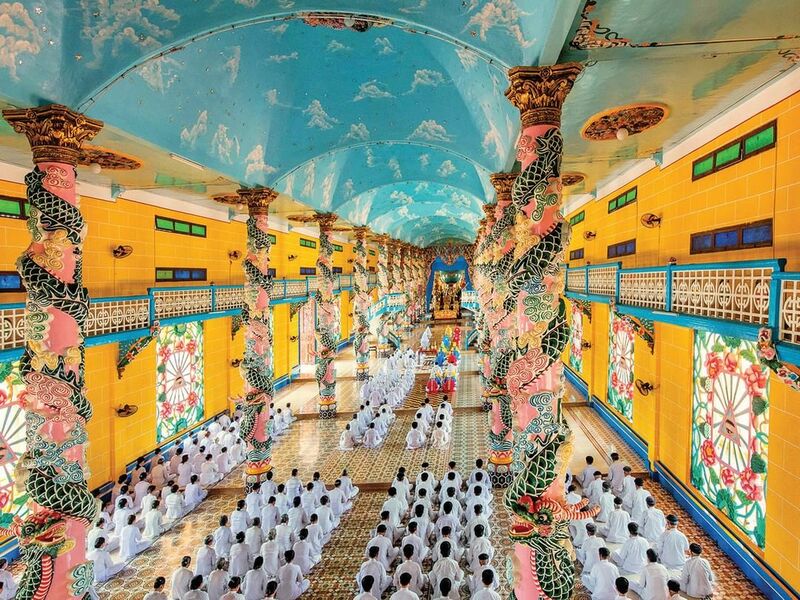 The Caodaist religion is headquartered in Hoa Thanh district of Tay Ninh province, about 90 kilometers Northwest of Ho Chi Minh City and approximately 55 kilometers of the Cu Chi tunnels. Cao Dai Temple or Cao Dai Holy See was constructed in 1933 in a unique architectural style that reflects its blended traditions. Be one of the bravest explorers who can conquer the bizarre tunnels in only 15 min! Cu Chi, one of war remnants museums, is located about 70km from the center of Ho Chi Minh city. It is famously known as an underground network built by Viet Cong soldiers to serve secret operations against American army. Visiting Cu Chi Tunnels should be on your list of things to do in Ho Chi Minh city. 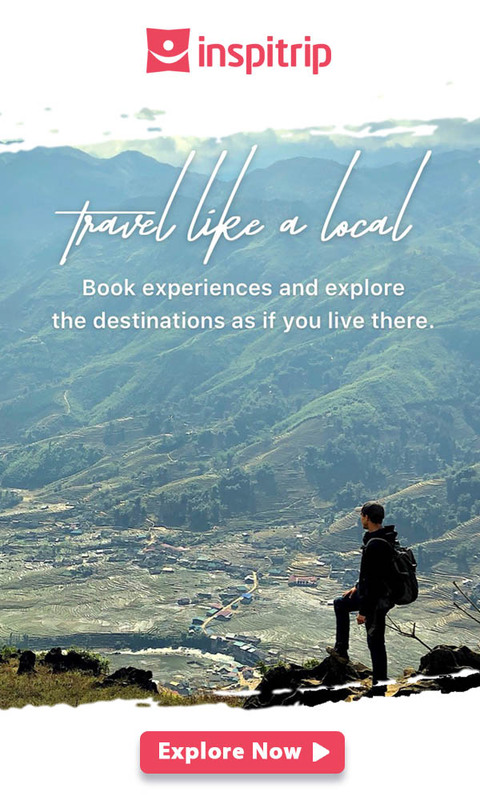 Explore the non touristy Mekong delta with Inspitrip and find out how people in this tropical land go about their life. People usually address The Mekong Delta as Cuu Long – Nine Dragons thanks to the nine tributaries marking the end of the great Mekong River. Mekong Delta constitutes a mere 13% of the overall area of Vietnam, but is astoundingly responsible for more than half the annual rice produced. 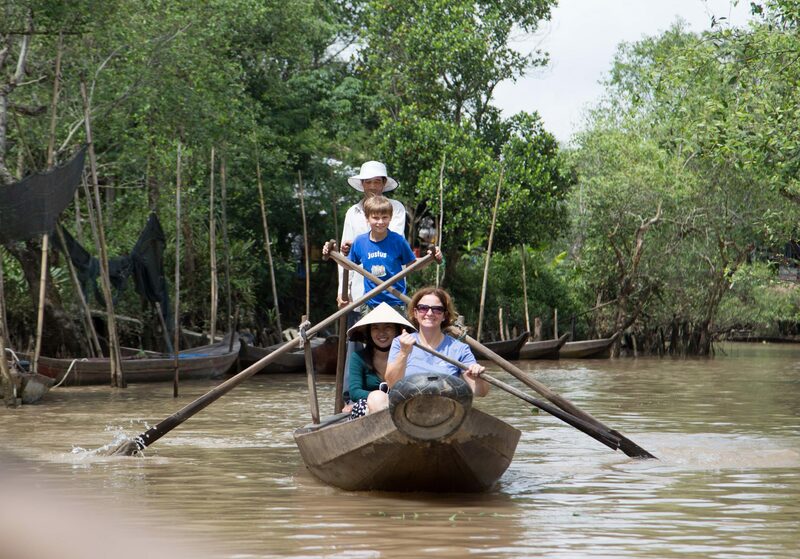 Taking a trip along the Mekong Delta is an unforgettable experience that will show you a snapshot of the Mekong people’s lives. One of the best ways to get a real taste of Vietnam is going to some authentic restaurants in the heart of Ho Chi Minh City. Secret Garden Restaurant is on an apartment rooftop, serving various traditionally rural dishes. The atmosphere is really homely thanks to the Vietnamese old-style decoration. The recommended dishes are the fried salted pork, fried catfish, and spring roll. The drinks here are contained in vintage looking glass bottles, and served with a cup of ice. Customers need to pay 10,000 VND for cooked rice and can eat it as much as they want. Ngon Restaurant is housed in a vintage French village. It is not air-conditioned but is always ventilated thanks to the fans creating a gentle breeze. In terms of local dishes, the menu is full of Vietnam’s signature foods of all regions such as Pho, spring rolls, Khot cake, Hue beef noodle and so on. These dishes are accompanied with a plate of several kinds of vegetables, including different herbs and leaves that the Vietnamese usually have in their meals. Chi Hoa opens the kitchen to allow people to see the preparation of the food. The menu of Chi Hoa collects numerous common dish recipes from all regions of Vietnam. Most favorited dessert is Che Chi Hoa (Chi Hoa sweet soup), which includes three types of che in one plate, lotus seed sweet gruel, taro pudding with coconut gruel and mixed fruits. 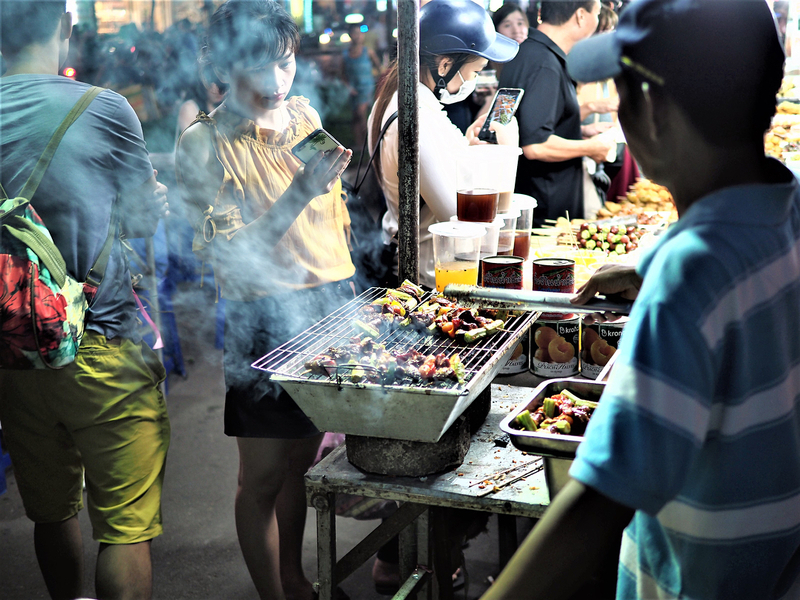 Do not miss Saigon street food, your stomach will be easily satisfied with the hidden gems of locals. 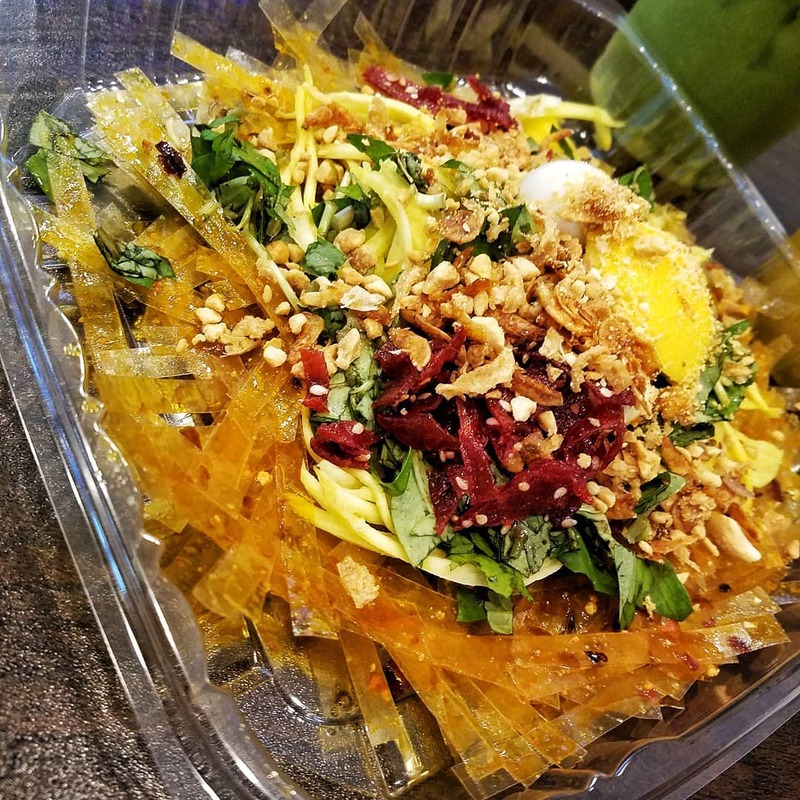 This affordable dish is made with a few simple ingredients, including sliced rice paper, dried shrimp, sliced mango, quail eggs, peanuts and herbs all stirred together. The combination of ingredients in the rice paper salad brings your pallet a wonderful mix of sour, salty and spicy flavours, resulting in an explosive taste in your mouth. With about 10,000 – 20,000VND, you can buy a tasty bowl of crab soup. People cook crab soup with crab, chicken, quail eggs, mushroom, sweetcorn, herbs, adding some soy sauce and chili to spice up the flavour. Try it on a cool, windy or rainy afternoon, you will find crab soup more delicious. Stir-fried corn usually has lots of corn stir-fried with butter, some dried shrimp and shrimp paste to spice it up, and topped with chili sauce and green onion. This infusion of different ingredients takes your tongue on a journey from sweet, to spicy and salty. 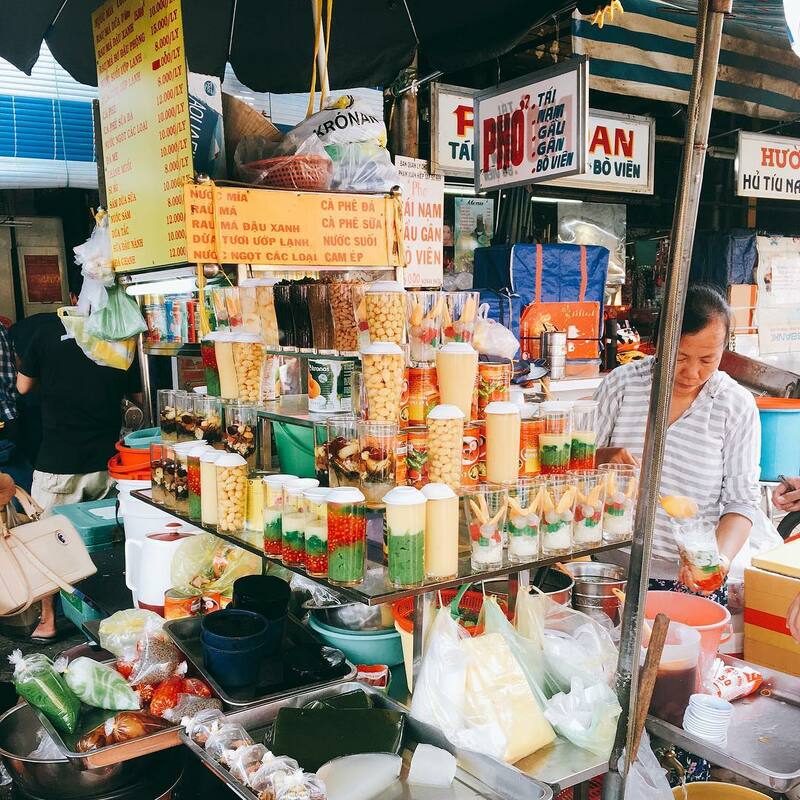 Enjoy the dish as a snack for late afternoon, while fulfilling your list of things to do in Ho Chi Minh city. A typical bowl of knocking noodle will have white noodle, thin sliced lean pork, fried onion, bean sprouts, chives and crackling. This dish is not sold in the morning, usually served in the afternoon till midnight and is a highlight of Saigon cuisine since it’s delicious yet, affordable. It’s a very popular dish among the working class and students. You can also learn about Saigon’s unique culture through the city’s small cafes. Try a delicious cup of Saigon coffee is one of the best things to do in Ho Chi Minh city. “Sitting-Plump” Cafe is an iconic coffee shop in Saigon. You can see students, workers, and even foreigners with a plastic cup of this cafe’s coffee in their hands along April 30th Park near the Notre-Dame Cathedral Basilica of Saigon. The price of each cup is incredibly affordable, with one delicious brew costing around 10,000 VND. Their menu has various drinks for customers to choose including coffee and lemon tea. 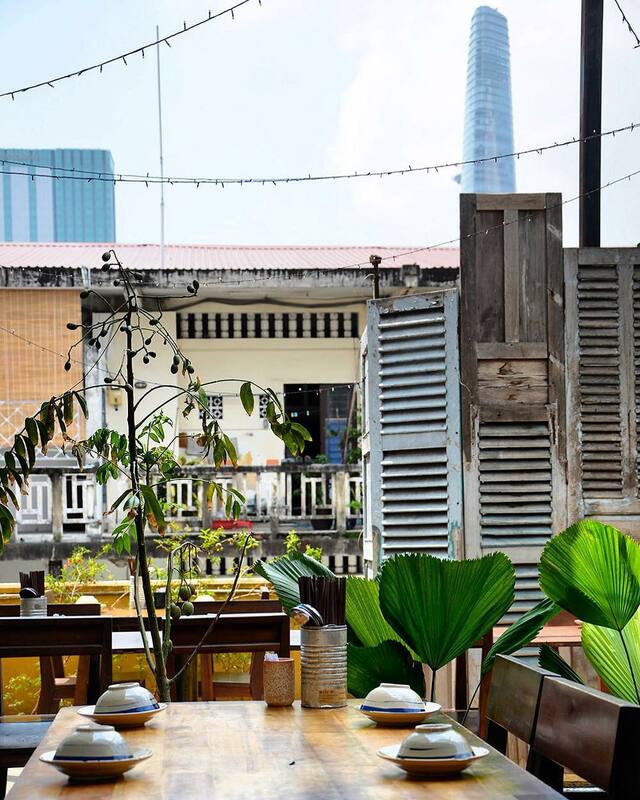 One of the most Instagram-worthy of alley cafes in Saigon is VietGangz Brotherhood with enough unique decor. VietGangz Brotherhood is at 2/45 Cao Thang, District 3. Saigon has a number of cafes that channel the 1990s for their cool retro feel. 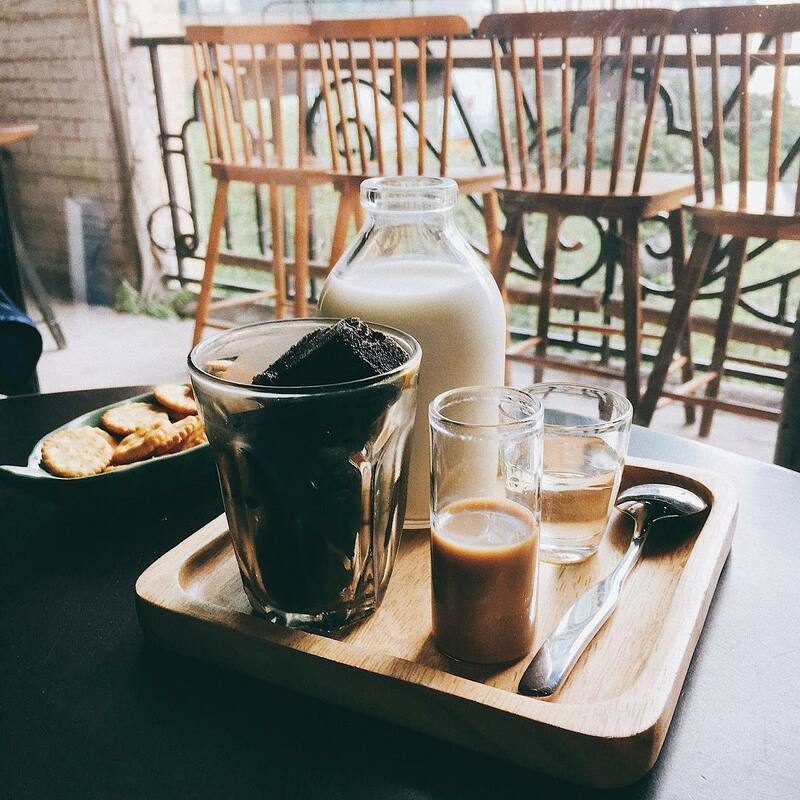 Ut Lanh Cafe sits inside a 90s-style home, located at 283/37 Pham Ngu Lao, District 1. To fit with its vintage concept, the coffee shop doesn’t offer wifi. Those who go as far as to not use their cell phones even get a 5,000 VND discount, as well. 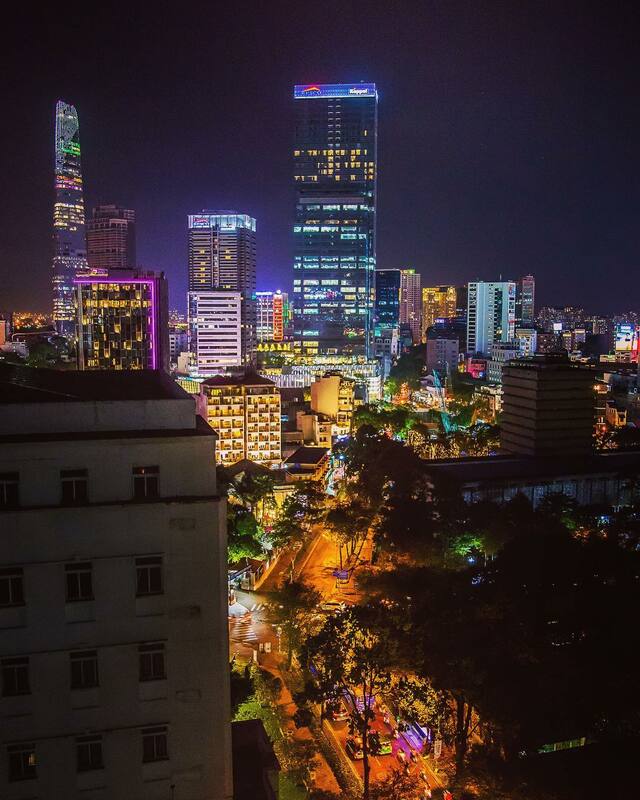 One of the things to do in Ho Chi Minh city visits a rooftop bar to enjoy Saigon nightlife. The highlight of The Social Club is its pool which runs vertically, a mini version of the infamous SkyPark swimming pool in Singapore, so you will have the feeling of swimming in the air. Established in 2009, Shri is a place for people to enjoy luxury and unique designs at premium pricing. The cozy vibe is also ideal for a date night or firework gazing during the New Year celebrations. They always serve highly customized cocktails to your preference. The slots at Chill Sky Bar quickly sell out during weekends and special occasions. Provides a spacious layout, reasonable pricing and great customer service, S.I.X is becoming a favourite choice of locals to entertain, especially on the weekend. Travelers usually list Ben Thanh market as the first destination for their shopping needs. But for shopaholics, we have plenty of others recommendations. One of the first things to do in Ho Chi Minh city is choosing where to buy the gifts in top local Saigon markets. Binh Tay market is one of the largest in Ho Chi Minh City and is over 17,000 square meters in size. It is also home to more than 2,300 vendors selling a number of different products including fresh food, ingredients, fruits, textiles, home appliances, handicrafts and more. Because the market is a wholesale one, visitors will find that the products here are much more affordable than they would normally be. Like many other markets, Tan Dinh market sells fresh ingredients, apparel, fruits and household products. Locals consider Tan Dinh the most prominent textile marketplace in the city with affordable pricing. Banh xeo, bun mam, crab soup, crab noodles, mixed fruits, chicken sticky rice dishes are all ones you should try. An Dong market is famous for its fashion products as commercial vendors provide goods to countless fashion boutiques in the city. Several vendors sell authentic products by well-known brands, including Vera, Wacoal and more. Sai Gon Square is a heaven for shoppers with plenty of clothing, footwear, fashion accessories, tech gadgets and more. In addition to selling a plethora of items for affordable prices, the market is renowned for its international brands. Sai Gon Square is often referred to as an outlet where visitors can find the trendiest items that are somehow not found in stores. The to-try list is in your hands! 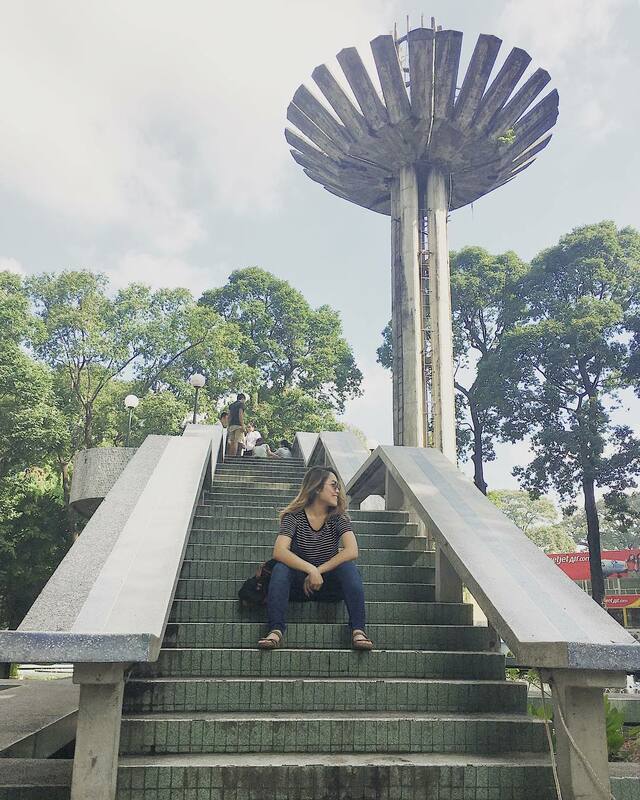 Now, take your backpack, find a local friend to explore of Ho Chi Minh city!